The lure of the Himalayas, the Youngest Mountain range on the planet and the most magnificent, entices many adventure seeking enthusiasts to pack their sacks and head there starting May, when the temperatures start soaring across the country. A vast majority seek their Nirvana from Hiking/Trekking in the various meadows and peaks that dot the region; while some others get inspired to mount their steeds and make the road journey of exploration to the snow covered mountains. On arrival at Srinagar Airport, guests will be met by taxi which will transport you to the Houseboat. Check in, sight-see Srinagar and over night at Houseboat. 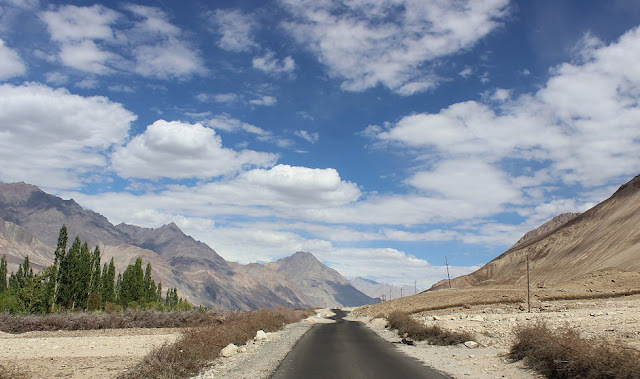 Ride / drive across the thrilling Zozila pass. Visit the Kargil & Zozila war memorials and halt at the scenic Sonmarg. Leh local sight seeing - Monasteries, Palaces, etc. in and around Leh, Hall of Fame, Leh markets and cafes, and much more. After Breakfast, drive back to Leh by same Route, crossing Khardungla Pass. O/N Leh. Early morning Leave for Manali, cross through Baralacha Pass (16020 ft), Lahaul Valley, visit Raja Gyepan temple at Sissu Village, lunch at Keylong post lunch drive to Manali by crossing Rohtang Pass (13050 ft) a beautiful drive on high altitude to be remembered for life time. O/N Manali. *** This itinerary is available for un-escorted trips as well as with budget stay options. Please get in touch for details. 14D/13N Stay on twin-sharing at best available Hotel/Camp/Guesthouse on MAP basis at all locations except Manali, Srinagar & Leh where guests will be free to explore the local cafes and cuisine. Cost of green tax, environment surcharge (if any), etc. Any Increase in the Hotel tariff charges. Difference in cost arising due to change in Taxes by the Government which will have to be collected directly ON ARRIVAL. Difference in cost arising due to change in the fuel price or any kind of taxes (Calculation based on Petrol INR 70 per liter & Diesel INR 58 per liter) Extra stay pre/post tour Difference in cost arising due to extra usage of vehicle, other than scheduled & mentioned in the itinerary. Extra cost incurred due to an illness, accident, hospitalization or any Individual unforeseen cost incurring incidence. Personal / accidet insurance. Cost for supplementary service, optional Tours, Up-gradation Charges, Guide, Sightseeing entrance fees and camera charges.